This is a fun book of soup recipes — a great resource for fellow soup-lovers out there — and it comes with a side dish of warm fuzzy feelings. A charming prompt to open your home to company in a lo-fi way, without the pressure of multiple courses, elaborate table settings and epic clean-up. For those of us who love cookbooks with heart and substance, Soup Night will occupy a well-deserved spot on your shelf. And don’t be surprised if it inspires you to start your own Soup Night, large or small. And even if you’re like me — I have no neighbors within shouting distance, literally — you’ll reach for this book’s soup recipes time and again, especially as the snow begins to fly. 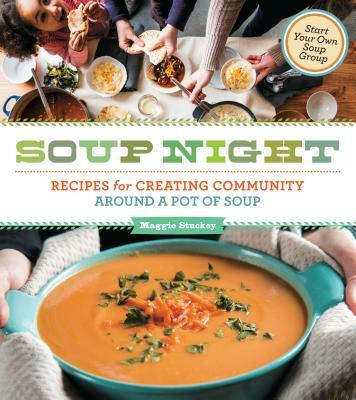 More than a cookbook, Soup Night delivers a practical guide for hosting a casual affair where a simmering pot of soup (or two) is the star of the party.